Ok so this might not be the most Halloween of nail art but my base colour is orange and orange = pumpkins = Halloween! I've been really busy recently with uni work so I haven't really had time to try anything fancy but I wanted to try and get some kind of Halloween look up so I went for something really simple I could do quite quickly while taking a break from my work. 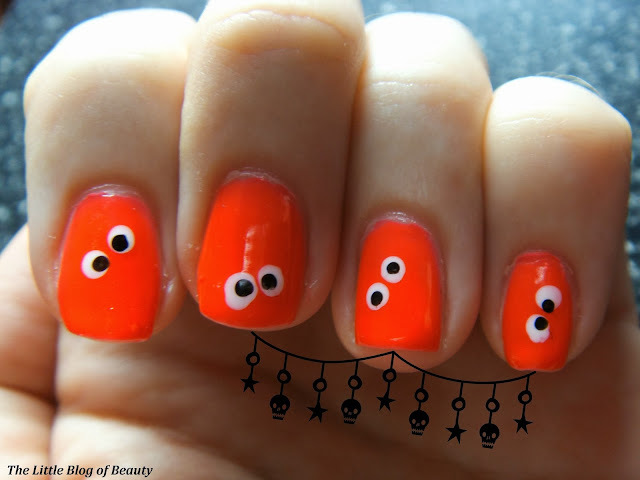 For my simple Halloween look I decided to go for little pairs of eyes. 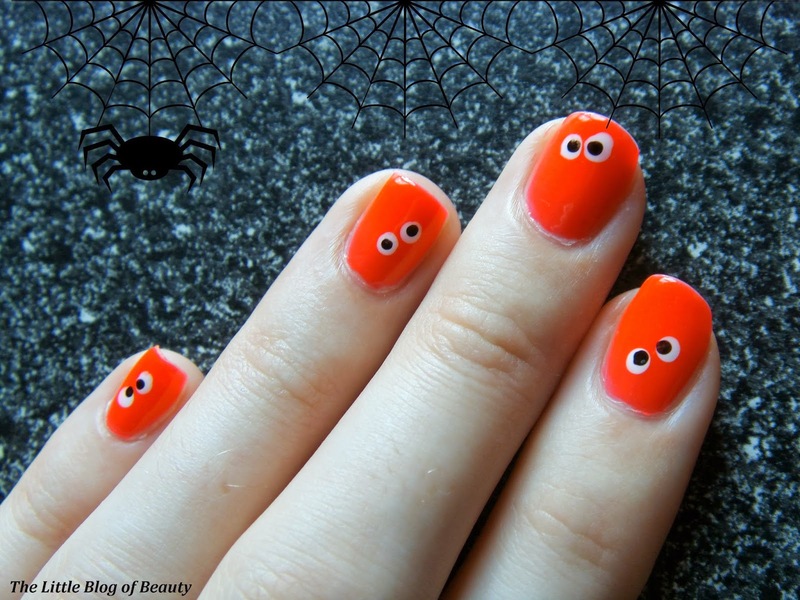 I used Models Own Pink Punch (which is actually an orange colour) for a super bright (much brighter and slightly darker than shows up in the pictures) orange base colour. I then used a dotting tool and Sinful Colors Snow Me White to make the white eyes with Bad Apple's Bad Bad for the black pupils. Then I just used Seche Vite Dry Fast top coat for a super shiny finish. 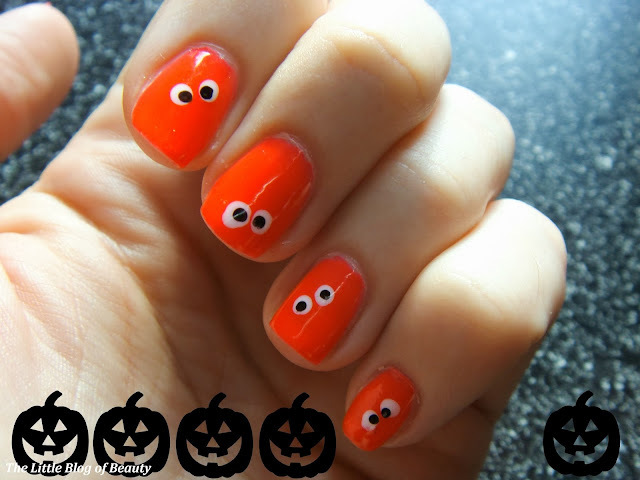 What do you think of my super simple 'we're watching you' Halloween nails? 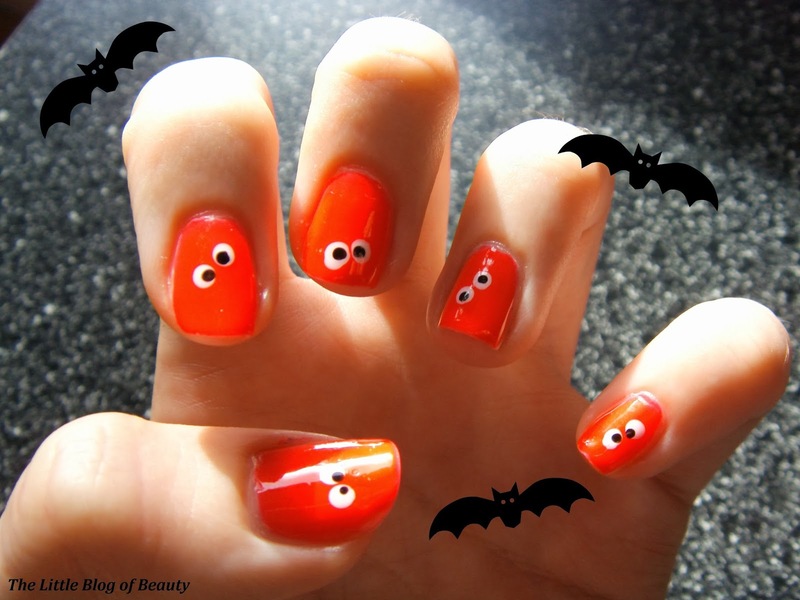 thanks for tweeting me your link :) i'm not a big halloween person but these are cute!